If you’re taking steps to purchase your dream home, checking the price tag is one way to determine which type of loan you’re going to need. Most buyers will seek funding through a conventional mortgage or an FHA loan. However, those loans have price caps, which means that the loans can only cover up to a certain price. 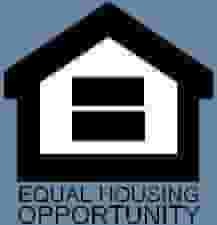 The Federal Housing Finance Agency set the limit for conventional loans at $453,000. In states like California, where the cost of living is substantially higher, conventional loans may extend to $679,650. If your mortgage amount exceeds that amount, you’ll need to consider applying for a jumbo loan in California. Finding the right home and financing that meets your budget is an important part of the home buying process for a jumbo loan in California. If you’re a buyer looking for a jumbo loan in California, you should have at least a working knowledge about this loan type, so you know what level of commitment you will be making. It’s worth noting that because lenders who offer jumbo loans cannot sell off the mortgage, they create their own rules and qualifying criteria (as noted below). While the information below provides a general overview of jumbo mortgage loans in California, you should always speak with your lender to find out any additional information about how they determine eligibility. Jumbo loans are not covered by Fannie Mae or Freddie Mac because the amount is more than the approved cap determined by FHFA. Because lenders aren’t protected by the two largest buyers of mortgages, qualifying is going to be more difficult than a conventional purchase. 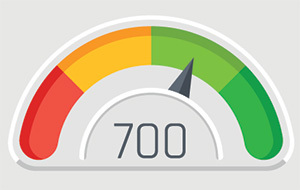 700 may be the credit score you need to qualify for a jumbo loan in California. Typically, lenders will look at the qualifications for a conventional loan and add more rules and requirements, so jumbo loans in California will have more restrictions than traditional loans. The best things you can do to make sure you qualify for this type of loan are to reduce your debt to income ratio, make payments on time, and save up for a down payment. If you want to qualify for the best jumbo loans in California: get your credit score in order. You’ll likely need a score of at least 700 to qualify. Because jumbo loans don’t conform to the standards set by Fannie Mae and Freddie Mac, lenders often charge a higher interest rate. However, this isn’t always true. You’ll want to chat with your lender to see what type of interest rates they have on their best jumbo loans. To qualify for a jumbo loan in California a down payment of 10-30% is often required. 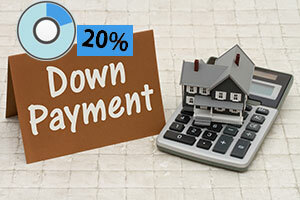 Lenders usually have stricter requirements for a down payment. On average, lenders will ask for somewhere between 10 and 20 percent, though some lenders may ask for as much as 30 percent down payment for jumbo mortgage loans in California. Lenders who do allow for a lower down payment may offset that with a higher interest rate or other income restrictions. Note: Most conforming loans require that borrowers have at least 20 percent down on their property to avoid paying for private mortgage insurance. That may not always be true with a jumbo loan. As lenders have more leeway over repayment terms for jumbo mortgages, some lenders are willing to skip the PMI requirement. Depending on the type of jumbo loan you get, and your lender, you may only be able to get a jumbo loan for your place of residence. Also, some lenders won’t provide jumbo loan financing on foreclosed homes or short sale properties. Before you start house hunting, please make sure you chat with your lender to find out what rules they have. 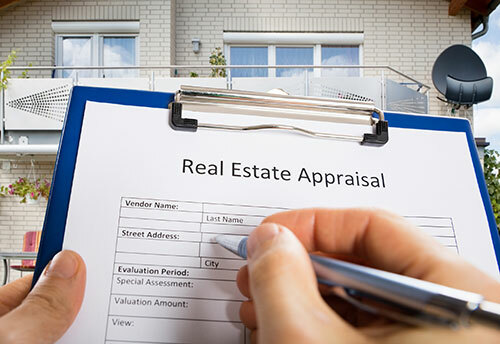 The approval process for jumbo loans in California may be a little different than an traditional mortgage. lenders are offering a half-million dollars or more, they want to make doubly sure the investment is secure. A jumbo loan requires a serious commitment and good credit. However, this type of loan can make it much easier for you to finance the home of your dreams. Be sure to call us with your unanswered questions, we’re happy to help you determine whether a jumbo mortgage loan is the best option for you! The Secure Choice Home Loan team has been helping customers since 1984. We know that each jumbo loan client has unique needs and we help them find financing that fits their circumstances. 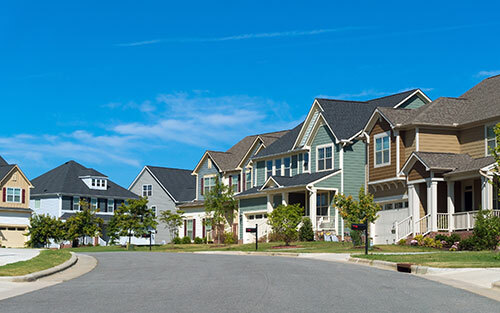 Whether you’re interested in a jumbo loan in California or need help securing other types of residential financing including an FHA mortgage, traditional mortgage, ARM or alternative funding, we can help you prepare. If you have any questions or want to see if you’re ready for the next step in funding your new home, give us a call us today at 1- 866-724-8858.